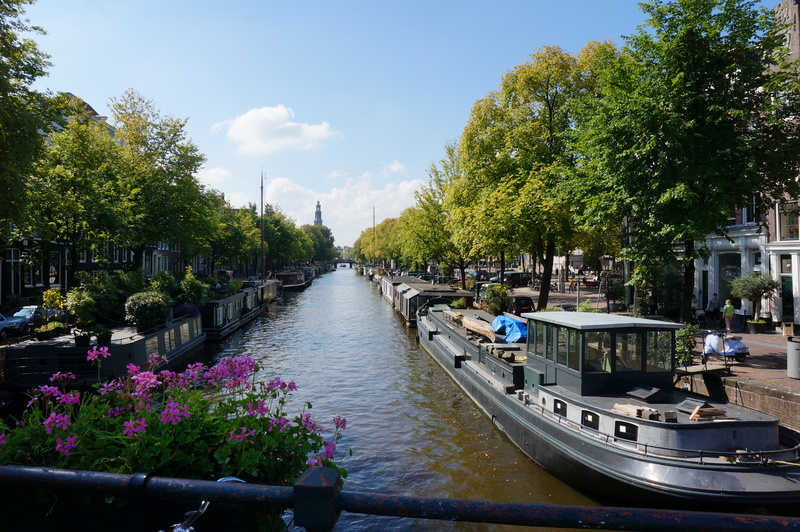 Just hearing or reading the word, “Amsterdam” is enough to put a smile on my face and conjure up images of peaceful canals, bicycle paths, and cozy cafes. I don’t even need to be there to experience the feeling known in Dutch as gezellig. There is no English equivalent, but the German word gemultikeit comes close. It’s a feeling of contentment, relaxation and comfort that happens when you slow down and appreciate the little things in life. The small scale of the city streets, quaint shops, canal-boats and historic buildings all come together to create a gezellig atmosphere. Take a look at some of these photos from a recent visit, and I think you’ll understand.